Technology: The use of scientific knowledge to solve practical problems, especially in industry and commerce. The discipline dealing with the art, science or specific methods, materials, and devices used to solve practical problems especially in industry and commerce. Our commitment to ongoing training of our technicians, coupled with the latest in diagnostic equipment and software puts us on the forefront of all the new technology on the market today. We only use parts and techniques that either meet or exceed original manufacturer standards. Our facilities are fully equipped with the latest automotive technologies, as well as state-of-the-art computer diagnostic equipment that rival those found in dealerships. What you don’t know is definitely not going to hurt you! While you’re cruising down the road in your exquisitely fine-tuned German or European work of art – which just happens to be a high-tech performance driving machine – you may not be aware of the 20 to 40 on-board computers that are all making thousands of decisions per second so you can experience some of the finest, ultimate driving conditions possible. You should not have to think about driving the car. It should be thinking about driving for you. Engineers want you to be able to walk up to your vehicle when it is locked, and without reaching in your pocket or searching through your purse to find the key fob and hit just the right button when it is late at night and it’s dark out, so your car would automatically unlock, because it sensed it was you and recognized you are the proud owner of such a fine automobile. There is now a special bond, not only between the vehicle owner to the car, but the car to the vehicle owner. It’s love at first sight for both parties involved! OK, so it’s not as “romantic” as it sounds. 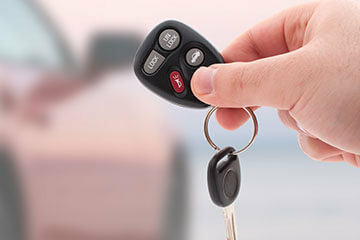 Your smart key lets one of your vehicle’s numerous on-board computers know you are coming near and want in. There is only one key in the world that will allow the vehicle to unlock, and you own it. Not only that, unless you have your specific key while sitting inside, the engine will not crank over or start up, even if there is a physical key that is cut exactly to your ignition lock cylinder. Some cars do not even have an ignition lock cylinder to stick a key in. It’s just a start button and if your car is not sensing your specific vibe it won’t start for you. Has your vehicle fallen out of love with you? German Car Specialist by Two Square has the latest diagnostic equipment, and depending on manufacturer, we can electronically connect your vehicle via an Ethernet cable connection to the Internet, which then directly connects your vehicle to the manufacturer’s software updates. Your vehicle has unlocked the doors and welcomed you into its life once again to experience some of the most exhilarating driving excitement on the planet. The roar of the engine is reaching deep into its heart once more to release its inner power that will slowly bring a smile to your face as you feel the passion between you and the road grow with each upward tick of the speedometer. The rhythmic, melodic tune coming from the Satellite Radio system seems to give the engine even more speed and power. The sound coming through its 6-8 symphonic individually-amped, computer-controlled speakers never fades away, even as the roar of the life-gripping tires and heart-pounding horsepower catapults you down the road. This is because the vehicle once again has sensed your desire to not miss a single note, and has automatically turned the volume up to compensate for the increased noise from higher traveling speeds. Is your stereo a little bit out of tune? German Car Specialist by Two Square, with its manufacturer-specific computer scanners, can communicate with the conductor (the on-car body control module) and the orchestra (the High Definition stereo sound system) when there seems to be some miscommunication in the orchestra pit. In a short amount of time the issues are resolved so the heart pounding tempo of the music helps once again to release even more power from the engine to the road! But with that technology there is potential for error and mishap which can lead to a diagnostic nightmare and you without your special road companion. The engine computer can store 50 or more diagnostic trouble codes, and each code with the possibility of having up to 10 or more pages of pin point diagnostic testing procedures and flow charts that will need to be performed with the latest in advanced diagnostics equipment as well as the latest training and new techniques. We are at the forefront of all new automotive technologies! German Car Specialist by Two Square’s commitment to ongoing training of our technicians (350 training hours averaged per year), coupled with the latest in diagnostic equipment and software, puts us on the forefront of all the new technology on the market today. We only use parts and techniques that either meet or exceed original manufacturer standards so you can continue that melodic exquisite ultimate driving experience you have come to know and love… and still get great fuel mileage! It takes technology to accurately pinpoint diagnose, repair and service all of the latest technological advances prevalent on today’s exquisitely engineered German and European automobiles. Our commitment to our valued clients is to provide the best level of service and repairs that are possible today. We have the same factory computer scanner and software for the Volkswagen/Audi vehicles the manufacturer uses in the dealerships. In fact, we connect daily via the Internet to make sure we have the latest software upgrades the engineers offer. This allows us to have the same information the dealer has, but it is delivered to you more conveniently and at a better value. In all we have 9 different onboard computer diagnostic scanners that are updated either daily or monthly depending on the manufacturer. Without this kind of commitment to obtain all the current technology to diagnose high-tech vehicles, it is just a guessing game. We believe that a guess is not what you want. Even our preventive maintenance services are high-tech! Our preventive maintenance equipment is state-of-the-art, and we use petroleum synthetic-based oils, lubricants and coolants with our high-tech fluid exchange machines. All of the fluids we use meet or exceed manufacturer’s specifications. 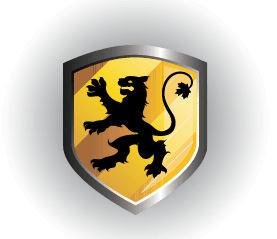 Each of the products we use are coded by a society of engineers as to the latest and greatest in molecular design in reducing wear and tear on your precisely machined vehicle. We have the requirements for each and every manufacturer as to what is required to not just get the vehicle out of the warranty period, but to help ensure it can reach a realistic 300,000 kilometers in driving reliability and pleasure! The same dedication to detail that we use for our high-tech services is also applied to all types of other work we offer. From our stand-alone signature oil change services, to our meticulous major engine and transmission repairs – we use only parts and techniques that either meet or exceed original factory standards. It is one thing to have all the latest in diagnostic equipment, and another thing to be able to use them accurately and efficiently to get you back on the road as quickly as possible. With our staff of technicians having around combined 350 hours of training this year alone, coupled with subscribing to several online technical support services, we are better equipped than most to perform any high-tech diagnosing and the related subsequent needed repairs. Our allegiance with Bosch (a major electronics, fuel systems and brake systems components’ provider for most German and European factory parts) as one of only two Certified Bosch Service Centres in southern Alberta means we can provide the latest updated factory quality parts, training, diagnostic and repair techniques and equipment available in Calgary. Bosch continually obtains parts that have either failed prematurely or worn out under normal circumstances and then disassembles and analyzes them to gain knowledge of how to make the parts last even longer. Improvements to the structure and design of the critical components as well as updated repair and installation techniques is what makes Bosch a leader in factory original parts and is what helps German Car Specialist by Two Square present you with the longest lasting, most dependable and safest means of transportation possible. We heartily subscribe to the Bosch Quality Policy: Customer satisfaction through people dedicated to excellence. All of us here at German Car Specialist by Two Square are extremely committed to excellence, integrity and customer satisfaction. Call today and see what our highly trained technicians can do for you and your high-tech ultimate driving machine!